Okay, it is hard to imagine, but it is coming up on our one year anniversary of living in New York City. What an adventure it has truly been! Over the past few days I have started to reflect back on this past year and all of the challenges and changes that we have encountered. I wouldn’t change a thing. Although I do find myself desperately missing a BBQ, but I will save that for another post 😉 This city is crazy, intense, awe inspiring, but best of all it is now our home. Over the next few days I am going to post some “top ten” lists about moments/events/sights that I think reflect this past year. Today I am going to start with phrases/thoughts that I find myself saying/thinking repeatedly since I have moved to the Big Apple. I hope you enjoy my insights. Happy Friday!! 1. “Please don’t lick the pole! 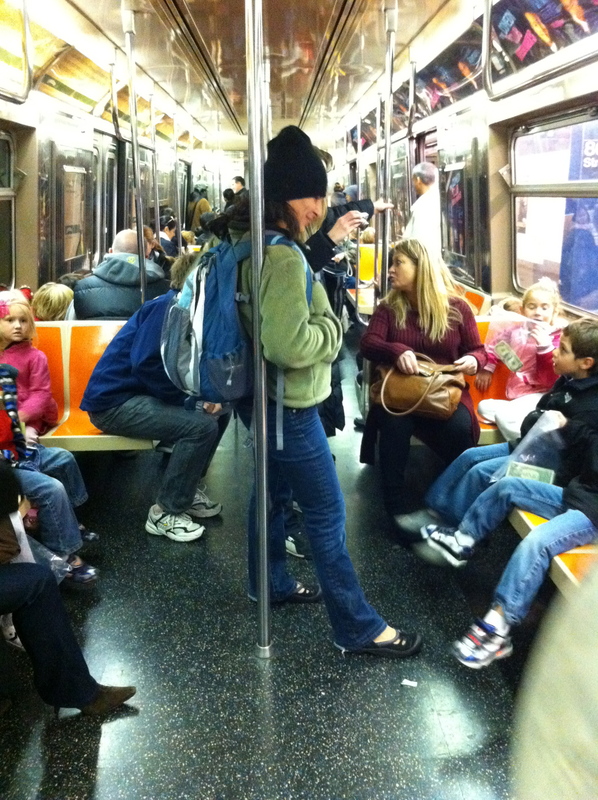 !” -I never thought I would have to say this, but with small kids, I am always reminding them to get their faces away from all parts of the inside of the subway- EWWWWW!!!! 2. “I moved from Ottawa (blank stare), it is in between Toronto and Montreal (nodding)” It still amazes me how many people do not know where Ottawa is. I like to remind them that it IS Canada’s capital. The response is always “Oh, our Washington”. Exactly… sigh. 3. “Yes, I live in NYC with these two big dogs” It is a bit strange for a person living in NYC to have two large dogs. The norm is owning pets on the smaller side. We get lots of attention on the street from natives and tourists alike. 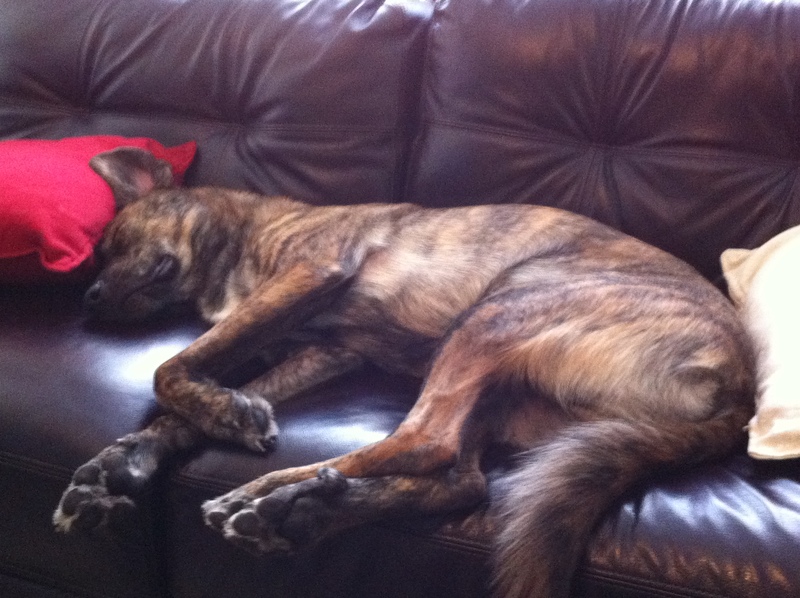 The truth is, as long as they get some daily exercise big dogs just like to find a nice quiet space and chillax. 5. “Yes, that is the Empire State Building” My children are always asking as well as friends from out of town. There is a certain magic about the building. In certain parts of the city it almost seems to be following/watching you. 6. “Be prepared to expect the unexpected” Walking the NYC streets is ALWAYS an adventure with interesting people and places around every corner. 7. “Look Up” I am constantly telling friends and family to do this. You will miss most of the true beauty of Manhattan if you never look up and enjoy the amazing architecture that surrounds you. 9. “Are we taking the 1, 2 or 3 train?” Just as important as the weather is the subway schedule. It is important to always be on top of schedule changes due to construction, incidents etc. I feel like I spend tons of time googling stops and routes from the subway to various places. I am not sure what I would do without mass transit! A very cool little factoid that I found on my walk last night! Love, love this! I miss living in NYC but embrace questions like this every time I venture in. great list of real new yorker traits. as an ex-nyc gal it makes me miss the big city even more. love also in nyc that you can get anything delivered, and that pretty much everywhere is always open. Funny post! Your first admonition (not licking the poll) reminds me of the time I had to tell my children to not eat noodles off the wall … in a Pho restaurant! Ugh. I’ll never forget the time I was in NYC, and it was clear and hot. And humid. So humid, it was like it was raining, complete with mist. But not a cloud in the sky…bizarre. Thanks for sharing. Congrats on your longevity! Loved reading this, as NYC is on my “Never going there” list. I like hearing someone talk about it as if it’s just a great place to live, not some mystic portal to the inner wonderfulness of the Universe. (Because that’s Vancouver, folks….) Glad you’ve had a great year there, and hope the next is as good, if not better. 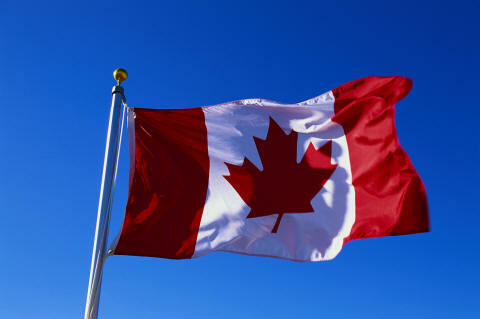 I am from Canada. My husband and I recently visited NYC for the weekend. It was amazing!! 😀 And yes, I often asked if the 1,2,3 train is one train or 3 different trains?? Once I saw a train that said 1 and 2, but not 3 and that totally threw me off!! Derek Jeter is very important in New York! Check out my article about Jeter and his 3,000th hit as well as funny YouTube videos and other sports news. Check me out at godblesssports.wordpress.com !! 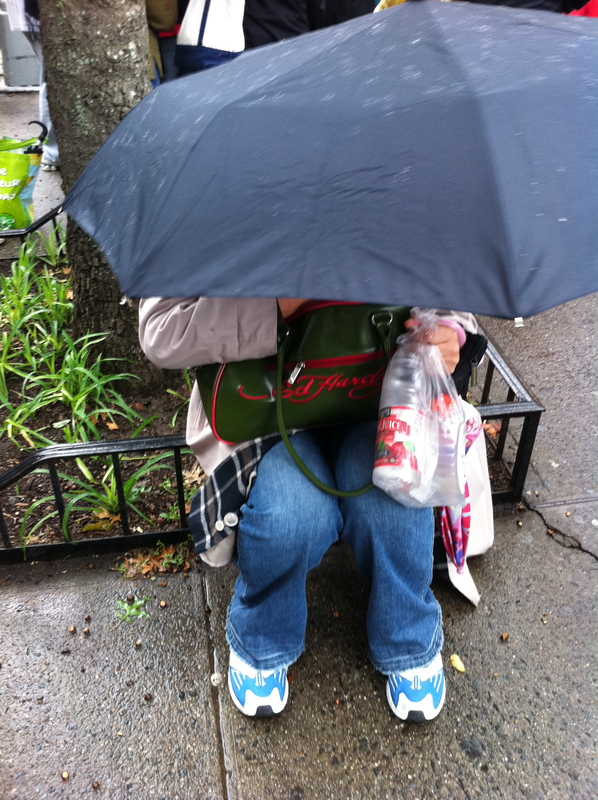 Love NYC – residents there are much friendlier than people realize. And I’m from Texas, so I know friendly. I’ve been to all the boroughs except Brooklyn, and I hope to visit there soon. Especially the Brooklyn Flea and the Botanical Garden. I whole-heartedly agree with you! I live in Florida, so I’m accustomed to the “Southern Hospitality”. Everyone always told me that New Yorkers were mean and rude; never once did I encounter one. They were all helpful and kind! I love this list! It makes me want to do a similar one for my current city, Colorado Springs, although I doubt it would be as interesting. 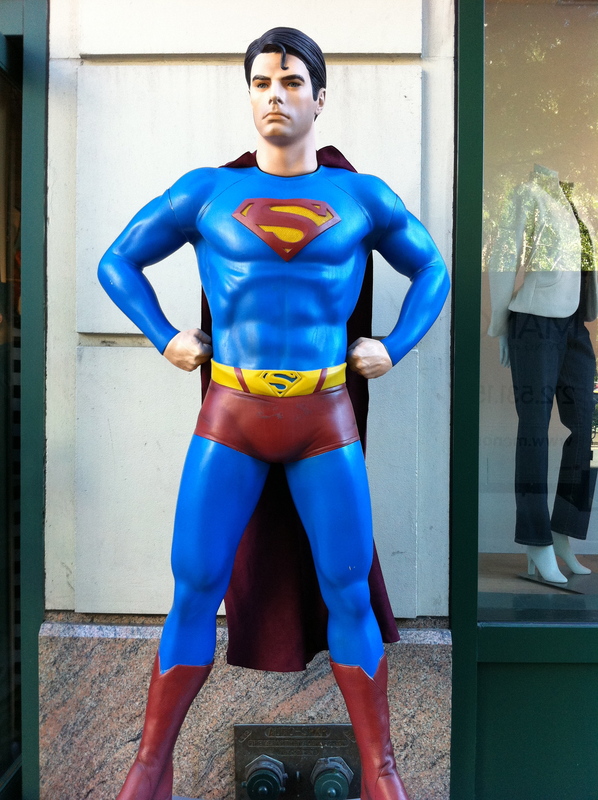 We don’t have people in Superman costumes except on Halloween, and everyone is expected to own at LEAST two big dogs. Great post. Ha ha. I am moved to Florida from Ottawa and I get the same blank stare but when I say I was born in Toronto then I get the nodding. Too funny. This is delightful! I too am of the “never going to New York” persuasion, a decision reinforced by the subway info. eww! I live in Virginia but am not a native. I think I’ll write something similar for the fam back in Michigan. It’s a whole different world here! I love this! I’ve lived in New York my whole life and I am now lucky enough to work in Manhattan. When I get out of the shuttle in Times Square, I keep feel the energy everyday. Regarding the whole geography thing, yea Canada is a bit of an abyss for many Americans, but don’t take it personally. We barely know anything about our own country outside of New York! Very cool. My wife swears she wouldn’t miss BBQ if we moved North. I know better. Congrats on being Freshly Pressed. Wonderful post! I’ve (sadly) never made it to NYC, but this cute and quirky post makes me want to go. Now. Love Dopey! Sounds like life in NYC is a lot like life in London (UK)! I used to live there, and just returned from a July 4th weekend. Got to agree about looking up. It amazes me, even after all the time I spent there, that just looking up and looking at the buildings is a new character on its own. New York is amazing. Glad you love it. u made me miss nyc even more now! i won’t be able to afford to live there now, but i’ll take an extended vacation an pretend im living there for that precious 10 days! I can’t wait to visit NYC for the first time someday. Your post got me excited! Aaaah, reminds me of my own one-year-anniversary March of this year. When is yours coming up? That probably means you came around last summer aka as one heat wave after another, right? I was here from spring on and do have to say that the season until October was one of the nicest I’ve experienced. And so many things to do over here during the hot months, incredible! 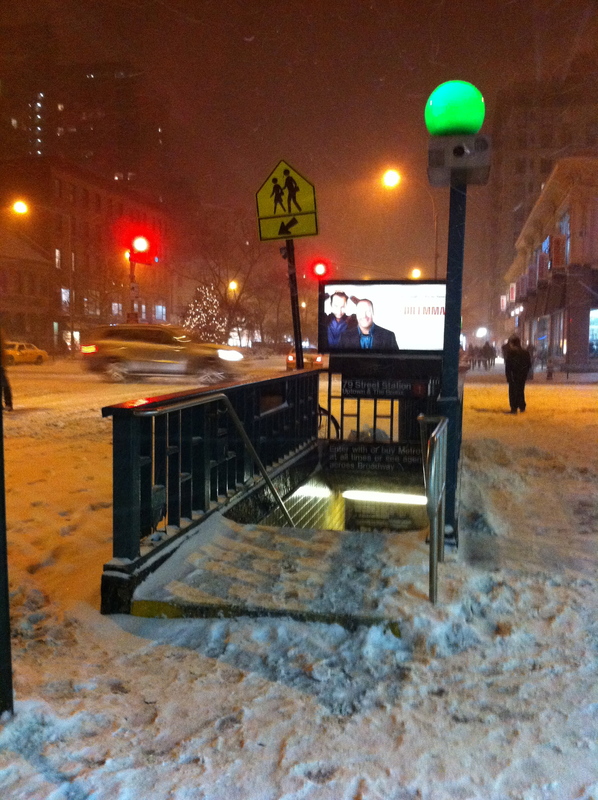 New Yorkers might be obsessed with weather but the thing is that their weather report is rarely accurate! Even if you check it the day before. Have you noticed yet? Love this post! I’ve come to realize, after traveling in countless countries that people talk about the weather when there isn’t anything else to talk about. Or if there is a language barrier and all you can say in your new language is the basics. Well deserved Freshly Pressed, Congrats! is “chillax” a canadian term? just wondering if americans use it too. i was once in hong kong for a 2 day layover and tourists on the street were asking my husband and i for directions, but we’re asian, so they probably thought we lived there. i loved nyc when i visited a couple of years ago. friendly people, lots to do and see. great post! I love this! I can’t wait to be a NYC tourist. I’m hoping I can manage more to fit in than to look lost but I doubt it! I was born and raised in New York City until I went into the service in 1959. As a young man, I recall, a third floor walk-up apartment in a six story building on 116th Street on Lexington Avenue. My Brother, I, and my parents shared that small apartment, perhaps six hundred feet for the grand sum of thirty dollars a month (under rent control). I am curious what your actual living conditions are, own, rent, space in square footage, what part of town you are in, and costs today? It’s an amazing experience — you’re going to love it when it happens! Great city I have been to New York and look forward to travelling there sometime soon. I visited NYC for the first time about a year ago. It was lovely. I would like to live there for a while one day… I love these “lines” and photos! I’m a New Yorker. That is way true! I love New York. I was born on the Upper East Side and moved back as soon as I was able. I lived and/or worked in Manhattan for 25 years. I live in Florida now, but I miss NYC so much that, at times, it’s almost a physical pain. I went there on vacation in late May/early June, and it all came back to me. I remembered how to walk around Midtown without bumping into anyone and nobody asked me if I wanted to take a ride on the double-decker tour bus. Yeah, for people that don’t live in a big city, they are used to looking at the sidewalk, you have to remember to look up. Though can be dangerous while walking. What a fun snapshot of your life in the city! You made me laugh–and the pictures really brought the moments to life (especially licking subway poles–EWW!). Love your sense of humour! I have been to NYC twice — I’m an Alberta girl, living in the middle of the prairies — but I LOVE New York. Great article, made me smile as I remember asking for directions shamelessly whenever I got turned around. One of my favorite things about NY is that you can walk anywhere you want to go. A truly amazing, wonderful city! Congrats on being FP’d. I LOVE this post…. Let me first start off by saying that you are very lucky to live in NYC! I have been wanting to visit for a long time, but we never make it (I even had itineraries typed up for a possible visit :D). What can I say, I am a true New York Wannabe! What I loved about your post is that it kind of shows what an average day living in NYC is like. May I ask what district you’re in? I look forward to seeing/reading more about life in the city! Life in NYC sounds exciting! I look forward to reading more about your life in this wonderful city as it is a place that I have always been fascinated with (just like many of your other readers!). Fun post and I am an Edgar Allan Poe fan, especially love the detective, C. August Dupin (I think I got that right). #2 made me laugh Sandra. Funny stuff. But the words of #6 resonated the most with me. “any big city” multiplied by 10. But to me that’s just an okay saying for a college town, and frankly even when I was in college and frequented Austin often i didn’t care for it; I guess just the term “weird” doesn’t do anything for me. And besides that Austin’s the capital of Texas! How about this one for Austin? I recently visited New York on a school field trip and I fell head over heels in love with the city. I hope to move there after college to be a psychiatrist. But I have a question, is it really all that bad to live up there? And is it really that hard to make it up there? Majority of my friends and family tell me I’m crazy for wanting to live there. I have a couple to add – okay, one’s my own and the other comes from a friend who recently lived in NYC. Mine – what happened to the gritty NY of the Ramones? Hers – why does everything smell like dog poop? 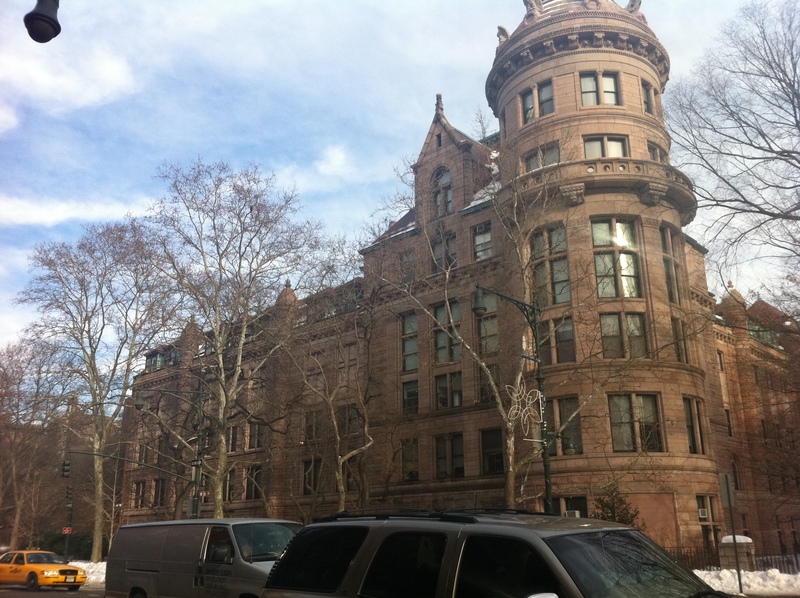 New York sounds really interesting,and i would love to visit the city once..
Great post! I’m a Canadian living in Michigan and noooooobody knew Canada Day was on Friday. Le Sigh. Awesome post and I’m happy you’re enjoying living in such a vibrant place. This post reminds me of my short visit to NYC last summer. Took a lot of photos of the NYC skyline which is nothing short of being breathtaking and beautiful especially in nice weather. Speaking of walking into interesting things, one of my most memorable moments in NYC was when my family came across the Balto statue in Central Park years ago. I remember thinking how awesome it was seeing the statue in person not too long after seeing the statue in the animated movie “Balto”. Makes me want to come and visit NYC soon! Congrats on a great post and being freshly pressed. 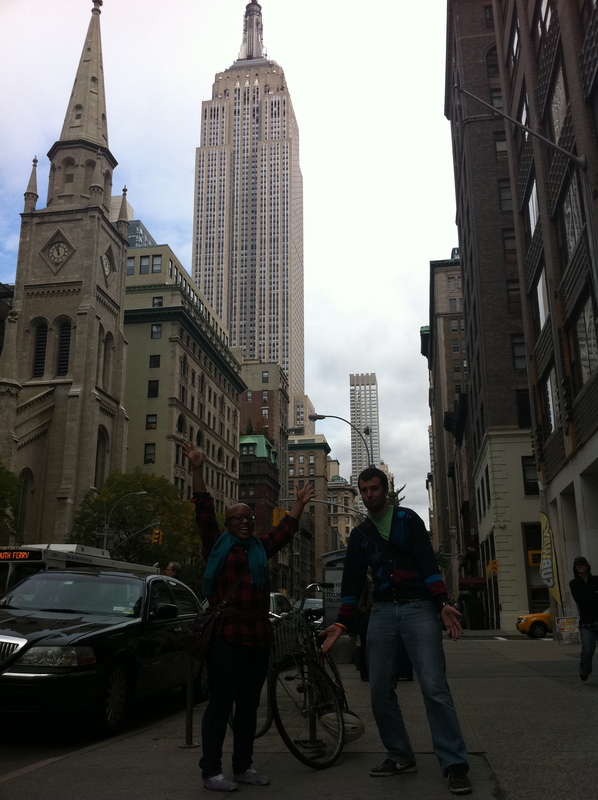 We lived in NY for 20 years, and then… moved to Florida, still Love and miss NYC! Even without the bits about Canada, I can tell you’re not a native New Yorkers. We let our kids lick the poll. Love this! And I can totally relate. Moved to San Francisco from Texas a little over a month ago. I especially appreciate #10. There is so much to see here. I notice knew things all the time, even when I’m walking the same walk I do everyday from the BART station to my office. In line with #7, I often look up and notice sculptures and artwork in the oddest places, and am amazed by these little gems, much less the architecture! Thanks for sharing. What a fun read! Love this post.. Maybe someday I’ll make my own list.. The main NYC pastime? Knowing stuff 😉 Fun post. I have always dreamed of living in New York, I’ve visited twice and was mesmerized each time. I think this list is great, especially the part about looking up to see some of the beautiful skylines. 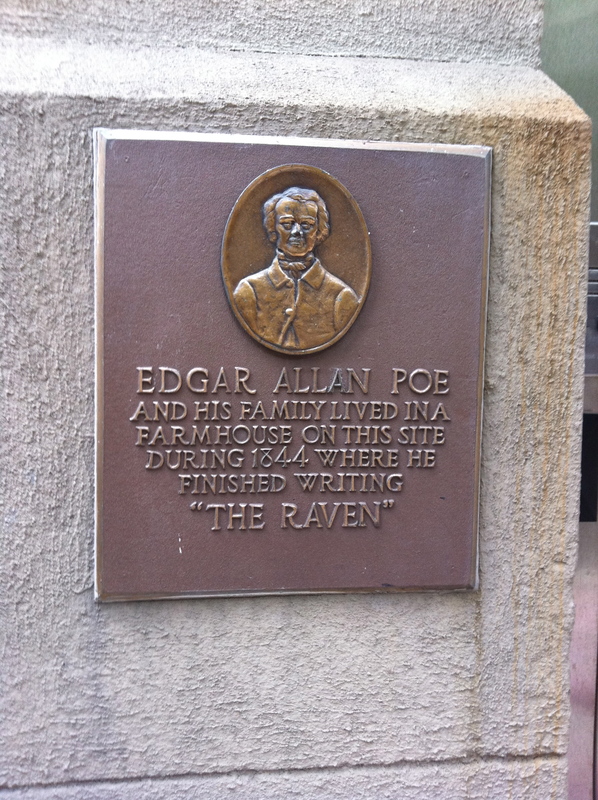 Edgar Allan Poe and NYC! That’s a really cool fact. Also, I nearly choked with laughter when I read, “Please don’t like the pole!” Very true. good to know! i’m headed to NYC in October. I’ve visited once, but only had time to hit the main tourist sites…this time I plan to dig a little deeper. on July 7, 2011 at 10:02 PM | Reply "Mandakolathur"
diverse city in the world; as many as 800 languages are spoken in the City. comes to our mind. Even one time visit will give great impact to all visitors. of New Year. I always wonder about NY City that never sleeps. The don’t lick the pole story makes me remember the frozen pole scene in the movie Christmas story. people and the beauty of modern architecture. Add to that the culture of entertainment that brings so many fun memories to any person who walks through its streets. Broadway itself is enough to cause genuine joy. New York is a place of discovery and fun. I really love the line “look up”. You are right! A lot of people do miss the fact that the high rise buildings in New York are a spectacle in itself. I love looking up when I’m in the Manhattan area even though that might give me a stiff neck and well, weird stares from passers-by. So, the next time you see a girl staring upwards while walking through the streets in Manhattan, that’s probably me. Lol. I’m from NYC but now live in Kansas, and I love how you convey the magic and magical distance between places. Thank! Oh man, some of these children just thinks everything is candy waiting for them to taste. on July 8, 2011 at 12:20 AM | Reply It’s Been Almost A Year: “Top Ten Things I Say In NYC All The Time” (via It’s Always An Adventure) « It's impossible to be unhappy on a skateboard. Long Live NYC. I’m happy for you. With all the good and the bad, you can’t beat NYC. You may want to read some thoughts related to NYC I recently posted. Or read my graphic novel, Alice in New York. You can read it from my blog. and hope to have the chance ones more to to be in the skyscraper city feell again the big apple. thank you for this very nice article. I used to live on the UWS and yes, the question about AMNH is always brought up 🙂 Good luck to you and the dogs! so great..I’ve lived in NYC all my life and it’s sad to say I never appreciated it until i got older and now have a child of my own. It’s such a fast pace city that you forget to just stop and admire all the beauty and history surrounding this wonder city. I will say this though, i wouldn’t want to live anywhere else. I love your anecdote about ottawa. it’s so true and so unbelievable! As a fellow Canadian in NY, I enjoyed this. No one has ever heard of Ottawa…I mean, seriously. I once worked here with a woman who had been a Rhodes Scholar finalist, Harvard Phi Beta Kappa — and she had no idea what the capital of Canada was. 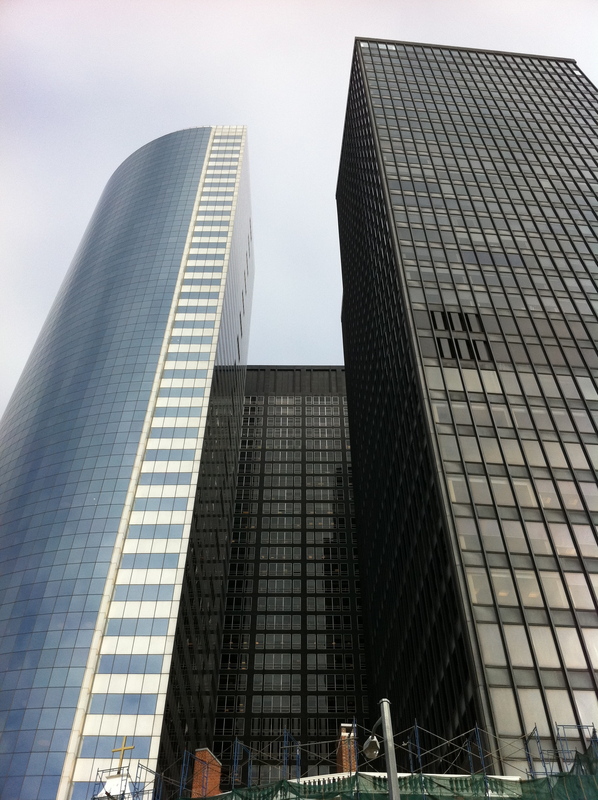 Looking up is worth doing, but only NOT from the middle of a crowded sidewalk. That tendency will mark you as a gormless tourist, the kind that drive natives nuts. I had no idea that looking up was to look at the architecture. I always did it to avoid eye contact! Ottawa to NYC! For me it was Kitchener-Waterloo (well, sort of) to Belgium. Only for a year though. Someday I would like to go to New York City, someday. Gotta see a show on a Broadway stage before I die! Hello from Barcelona (Spain) ! Just to let you know that I posted about your blog in my blog. (www.thatsmeinnewyork.wordpress.com). I liked so much this post!!!! I lived two months in Manhattan and wrote a blog. Now I’m living in Barcelona, my city, and I write about the two cities. I always wanted to go NYC! True….I remember meeting a man dressed as a marine in Central park….took a photo with spider man. Met a couple of street dancers…nice city!! Sandra, I very much enjoyed reading this post (as well as a few of your other posts!). I was chanting off, “Yep,” as I read each one! Congrats on FP!! NYC is my all-time favourite city! Love the post, mostly true. Congrats in beeing freshly press. I grew in NY , live in Toronto, sorry Canadian or London fans, still there is nothing like the big Apple. I don’t care if the most crowded place, but everything is so convenient! global affordable fashions, shoes, travel, are you kidding? I’ll never get tired of it. I play tourist everytime i go as a way to support the city. New York has been inmortalized for a reason in the business, fashion and enterteing world for a reason for many including the wonderful Alicia Keys song (Empire State of Mind). A very cute post, Sandra. And the pictures are apt too. 🙂 Keep writing !! “Can you tell me what time it is?” I love to see who still wears a watch!!! Great post! I have been to Ottawa and highly recommend it for a visit. I can relate to your Top Ten Things! Have you been to Virgil’s on W. 44th? It’s decent BBQ for NYC. Thank you for sharing content. Is a factoid a plaque? Great posting. Thanks so much. I liked visiting but I’m not sure I’d want to live there. Glad you’re enjoying it. This is an exceptionally funny post! Really looking forward to my relocation to NY in 3 weeks.